Home Make Money Do not like a photo of a Aadhaar Card? Change it!! We all end up having a funny looking picture on our verification documents and Aadhaar card is the new one in this. We have some tricks to help you look great even on your Aadhaar card and steps on how to make corrections on your Aadhaar card. There are a lot of people who are not satisfied with their image on Aadhaar Card and that is mainly because of an unclear or blur image or picture. Many of you would have also tried searching the steps to change the pic on your Aadhaar card and insert a good look pic. 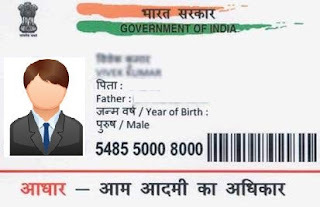 For some people, it is difficult to use Aadhaar as ID proof because their photo on Aadhaar is not clear and in such a case they have to use a secondary ID proof. This can be really inconvenient and the only way they have is to change their photo. A few months ago this issue was highlighted by the government and government permitted the change of photograph on Aadhaar Card. The article is all about changing the Photograph on Aadhaar Card so give it a read. Can I change my Photo on Aadhaar Card? There are basically two ways to change your photo on Aadhaar Card and both of them are offline ways. There is no provision of changing the Photo on Aadhaar Card through online medium. The first way is to download the Aadhaar Update form https://uidai.gov.in/images/UpdateRequestFormV2.pdf, fill it and send it to the UIDAI to get the photo updated and get the card reissued. The second way is to visit the nearest Aadhaar Enrolment Centre and get the photo updated on your Aadhaar card. In both the ways you will get your Aadhaar card me about 2 week time and in addition to this, there is a charge of Rs 15 for the change of Photo and reissue of the card. Also, the Aadhaar Card doesn’t have the photo of the child who is below 5 years. The photo of a child is updated when he turns 15 and 18. Aadhaar card can be used as an identity proof for the purpose of employment, pension schemes, healthcare and much more. Aadhaar card is vital to carried along when purchasing ration from the public distribution centre. MNREGA workers can receive their wages directly into their account on time using Aadhaar Cards. Aadhaar cards are also used by banks for a number of purpose like KYC authentication, opening a new account, for a demat account, or any other sort of investment with a public financial institution. Aadhaar card is also important in order to get a new LPG gas connection. Aadhaar card has become an essential document and it needs to be linked with some of the other documents as well in order to continue receiving hassle free service. Here are some important things with which you should link your Aadhaar at the earliest. Aadhaar self service update portal assists you with all these online. The fact that most of us do not look as beautiful/handsome as we appear in our FB and Whatsapp profile photos and also that we do not look as ugly as we appear in our Aadhaar card or voting ID cards hold quiet true. Many of us wish to inquire as to how to change the photos in Aadhaar Card and is it really possible to change the photo in Aadhaar card? Step 4- Attach an attested copy of your new photo, and a copy of your Aadhaar card along with the application and Aadhaar update form.